Whether you're setting out on a short and sweet break or an extensive getaway, it's wise to know the basics about Walhalla before setting off. Walhalla sits 85 miles (137 kilometers) east of Melbourne, a significant city. Walhalla flight and accommodation deals can be purchased via Travelocity, and you won't believe how much you'll save. Just pick and choose from upwards of 400 airline companies and 665,000 properties. From airfares and accommodations to activities and car rentals, you've got the security of 24/7 personal assistance via our Customer 1st Guarantee. Have you seen an even better bargain elsewhere? We'll match the price and refund the difference^. All travel reservations may be canceled with no charge from us. And as long as you get in quick, most accommodations won't charge you a fee either^. You'll have to book ahead if you want to stay as close as you can to Walhalla. The Walhalla's Star Hotel is the only property within close reach of the center. Where do you fly into for Walhalla? Put your seat in the upright position, stow your tray table and prepare to explore Walhalla! Once the wheels hit the tarmac at La Trobe Valley Airport (TGN), the busy main streets will be just 19 miles (31 kilometers) north from here. Can I rent a car in Walhalla? Whether you're heading to Walhalla solo or with a few pals, it's always handy to have a car. Travelocity provides plenty of rental car options, so choose one now and start creating your road trip playlist today! After you've grabbed your bags at La Trobe Valley Airport, you can be motoring off into the sunset before you know it. Inquire about rentals at Hertz, 19 miles (31 kilometers) from the terminal at 2 Livingstone Street. History has many lessons to teach us. Drink in the knowledge and learn from the past at Walhalla Museum. Seeking more ideas? History has much to teach us. Soak up the knowledge and gain an insight into the past at Walhalla Historical Museum. If you're traveling to Walhalla, you don't have to be limited to this area. Clematis is just 55 miles (89 kilometers) away and offers a whole range of close by things to do, such as Dandenong Ranges National Park. The Puffing Billy Steam Train is one more unmissable option. If you have the time, we recommend stopping by both. 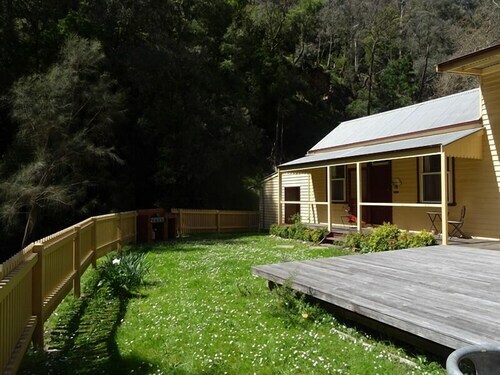 Situated in Walhalla, this cottage is steps from Walhalla Park and Walhalla Rotunda. Walhalla Museum is 0.2 mi (0.3 km) away. Walhalla Station is 11 minutes by foot. Situated in the historical district, this hotel is steps from Walhalla Rotunda, Walhalla Museum, and Walhalla Park. Mount Baw Baw and Moondarra State Park are also within 32 mi (52 km). Walhalla Station is 14 minutes by foot. Situated in the historical district, this bed & breakfast is within a 10-minute walk of Walhalla Park, Walhalla Rotunda, and Walhalla Museum. Mount Baw Baw and Moondarra State Park are also within 32 mi (52 km). Walhalla Station is 18 minutes by foot. 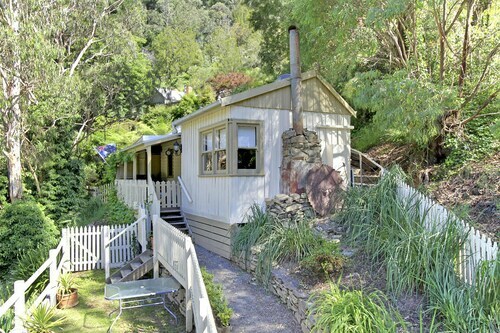 Situated in the historical district, this cottage is steps from Walhalla Park, Walhalla Rotunda, and Walhalla Museum. Mount Baw Baw and Moondarra State Park are also within 32 mi (52 km). Walhalla Station is 13 minutes by foot. 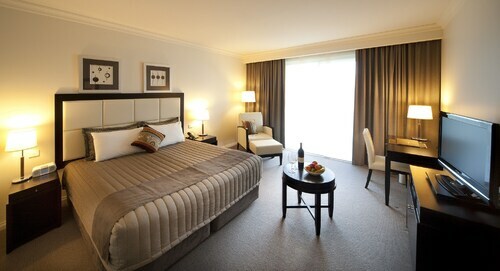 Situated in Traralgon, this motel is within a 15-minute walk of Victory Park and Latrobe Visitor Information Centre. Traralgon Railway Reservoir Conservation Reserve and Traralgon Golf Club are also within 3 mi (5 km). Traralgon Station is 16 minutes by foot. 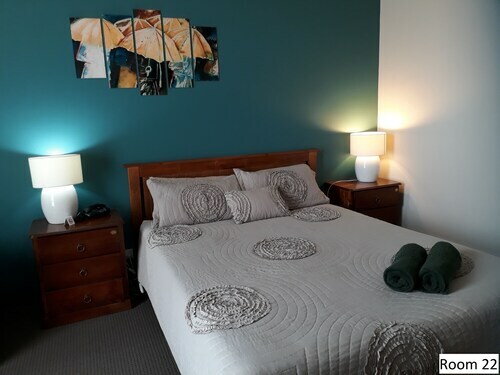 Located in the heart of Traralgon, this golf motel is 0.4 mi (0.6 km) from Traralgon Golf Club and within 3 mi (5 km) of Latrobe Visitor Information Centre and Traralgon Railway Reservoir Conservation Reserve. Victory Park is 2.2 mi (3.6 km) away. 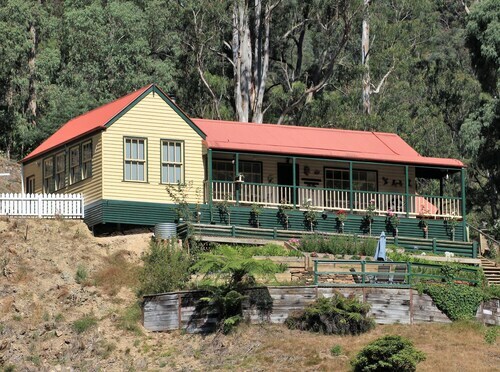 Situated in Moe, this motel is within 2 mi (3 km) of Ted Summerton Reserve, Gippsland Heritage Park, and Old Gippstown - Gippsland's Heritage Park. Edward Hunter Heritage Bush Reserve and Moe Golf Course are also within 3 mi (5 km). Moe Station is only a 2-minute walk. Situated in Traralgon, this motel is 2.1 mi (3.4 km) from Traralgon Golf Club and 3 mi (4.8 km) from Midvalley Shopping Centre. Victory Park and Traralgon Railway Reservoir Conservation Reserve are also within 6 mi (10 km).